The power of print media in creating stereotypical ideologies for certain groups of people is an undeniable fact (van Dijk, 1998). From a multimodal discoursal perspective, an element of high importance in every print text is the visual paratext (Kress & van Leeuwen, 2006). Along with visuals, an important social issue which has been the focus of many studies and invoked many debates is gender and the hidden ideologies by means of which a specific gender is shown to be superior. 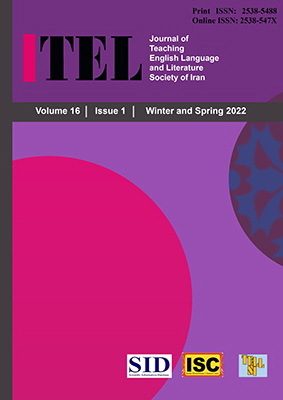 This study was conducted to identify and reveal the positioning of gender in the images of three international and local ELT textbooks: New Headway, Top Notch, and Iran Language Institute (ILI) English Textbook. Dimensions identified in Goffman’s Gender Advertisements (1976) were integrated with the image semiotic categories of Kress and van Leeuwen’s Reading Images (2006) to analyze the images at the elementary level of these textbooks. Both quantitative and qualitative analyses were used to find gender presentation in ELT textbooks. The analysis was focused on finding the active participant, gaze direction, visual techniques, body display, and space in which the participants were shown. The content analysis of the images in the three textbooks revealed that men were represented to be more active, competent, socially important, breadwinners, and powerful. In contrast, women appeared as less active and more reactive, objects to be scrutinized, objects of desire, breadtakers, and socially less powerful. Although the findings for ILI English textbook were slightly different and apparently indicated more gender equality, the frequency of each gender representation in the images of the textbook revealed more power and better social status for men. The results have clear implications. They can raise the consciousness of materials developers, ELT instructors, and other stakeholders as to gender bias in the visual elements of ELT textbooks. They also indicate that, despite international feminist and women rights movements, locally developed and adapted ELT materials manifest comparatively less gender bias.